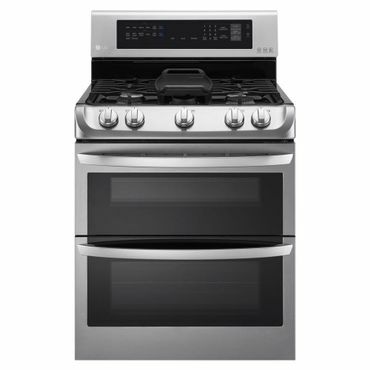 GE, LG, Samsung, KitchenAid and Kenmore make the top-performing gas and electric ranges, whether you're looking for a single or double-oven; or a regular or induction cooktop. All are great values too, but we also found upgraded models if you have a bit more padding in your budget, as well as some terrific choices if you have less. 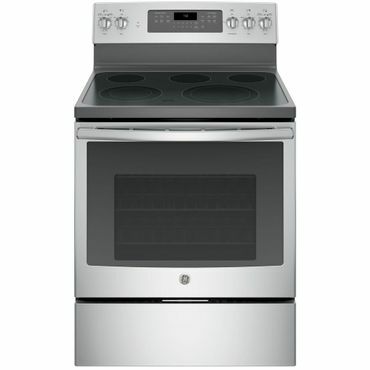 The GE JB750SJSS provides excellent cooking and baking performance at a hard-to-beat price. 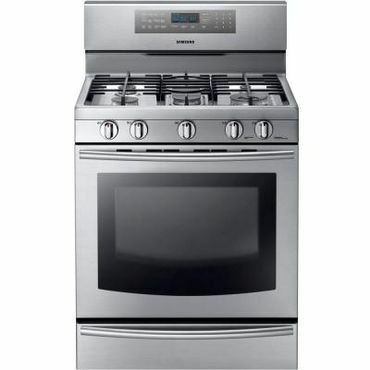 It's large enough to handle a family meal and, while it's short on bells and whistles, everything that most cooks need is present and accounted for, such as five stovetop elements (including a low-power one designed to keep cooked foods warm), convection cooking, a steam cleaning feature, and more. For the ultimate in versatility, experts say look no further than the Samsung NE59J7850WS. 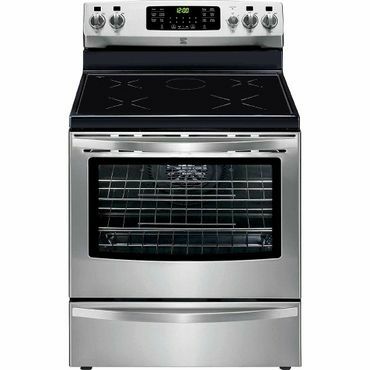 It features Samsung's Flex Duo system that lets cooks use the oven's entire 5.9 cubic foot capacity, or to split it into two independent ovens as needed. Raves go beyond the oven to the versatile stovetop that experts and owners say is a star in its own right. The LG LDG4315ST is well-reviewed by experts, who give it top marks for both cooktop and oven performance. 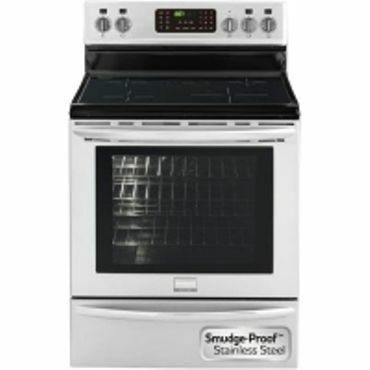 It's fully-featured, with a "ProBake" convection mode, a generous capacity of 4.3 cubic feet in the lower oven, 2.6 cubic feet in the upper oven, and excellent self-cleaning performance in both. The stovetop has five burners, including a long, oval burner with a removable griddle that owners love. Reviewers say the Kenmore 95103 is a great value for the price. It aces expert reviews, with a stovetop that rapidly brings water to a boil and gently simmers delicate sauces without scorching. The oven is a good-performer too, once you master its quirks. This Kenmore range includes some great convenience features, such as convection heating and a Power Boost feature to give the cooktop a little extra heat when needed. These are the most common and affordable ranges. They come with either coil elements that heat cookware directly or a smooth-top surface that has radiant heating units beneath a glass or ceramic surface. Many users say that they prefer smooth-tops because they are more attractive and easier to clean than electric coils. Once found only on high-end models, smooth-tops now dominate the range market; only lower-end models have electric coil elements (and we don't recommend any ranges of this type). The ovens on electric ranges tend to perform very well in maintaining a consistent, even heat. As their name implies, these ranges are powered by natural gas. They have heavy cast-iron or ceramic grates that cover the gas burners. Many higher-end models feature continuous cooking grates, which cover the entire cooktop's surface, allowing cooks to slide pots and pans from one burner to another. Less expensive models typically have individual grates over each burner. Many cooks prefer gas stovetops to electric because they feel they have a greater degree of incremental control over cooking, but gas ovens don't heat as evenly as electric ovens. These ranges combine the uniform, even heat of a gas-powered cooktop with the reliability and consistent temperatures of an electric oven. The burners on these professional-grade ranges are often more powerful than those found on gas ranges. However, dual-fuel ranges are more expensive than gas or electric ranges, costing anywhere from about $1,500 to $4,000 or more for a high-end model. Still, many cooks say it's worth the money to get the best of both cooking worlds. Induction ranges include an electric oven and an induction stovetop, which heats food by creating a magnetic field between an element just below the surface of the cooktop and the cookware itself. Experts say induction burners are very responsive, heating and cooling food quite rapidly. They get great reviews from people who like to speed up their meal preparation. However, you have to be sure to buy cookware (which we cover in a separate report) that is compatible with the induction stovetop. Most ranges have single oven configurations and either a storage drawer or warming drawer below the oven. However, both gas and electric ranges also come in double-oven configurations -- a plus if you want more flexibility in your cooking. In addition to single- or double-oven models, ranges also come in either freestanding or slide-in configurations. Freestanding ranges are most common (and, usually, the most affordable). They typically have finished sides and a control panel on the rear of the stove. Slide-in ranges are designed to slide in between kitchen cabinets. They have unfinished sides, but are a bit wider on top to give the appearance of a custom, built-in appliance. That overlapping top also makes them a neater choice as food can't get trapped between the counter and range. Most kitchens are already laid out to accommodate either a freestanding or slide-in range -- changing installation types usually requires a remodel. If you need more oven space than a kitchen range can provide, a wall oven may be better suited to your needs. 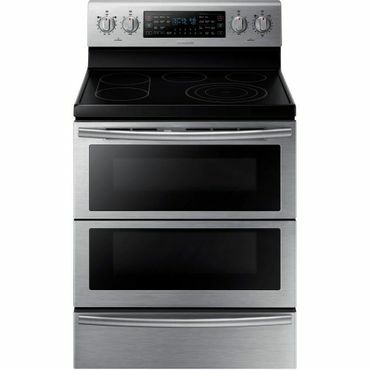 You'll also need to have a separate cooktop if you prefer this kind of oven. We have top recommendations for both of those appliances in their own reports. There are several really solid expert review sites for ranges. The best are Consumer Reports, CNET and Reviewed. These reviewers evaluate features, but most important, conduct thorough hands-on test of ranges, looking at performance of the stove top and the oven by boiling water, baking cookies and cakes, roasting chickens and more. From there, ConsumerSearch editors evaluate dozens -- sometimes hundreds and even thousands -- of owner reviews for every type of kitchen range sold. 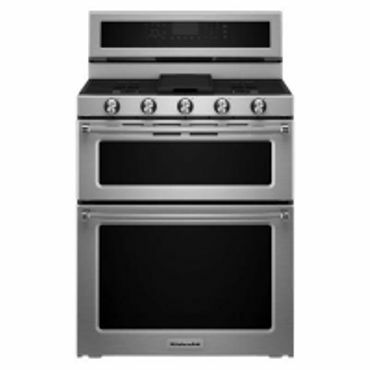 We look for the best performing ranges in cooktop and oven performance, features, and reliability. Price was a consideration as well, and we found a couple of top ranges that offer great performance without breaking the bank.